Outcomes: This infographic has been around the world, translated into several languages and is used to explain this rare genetic disease to patients and families. 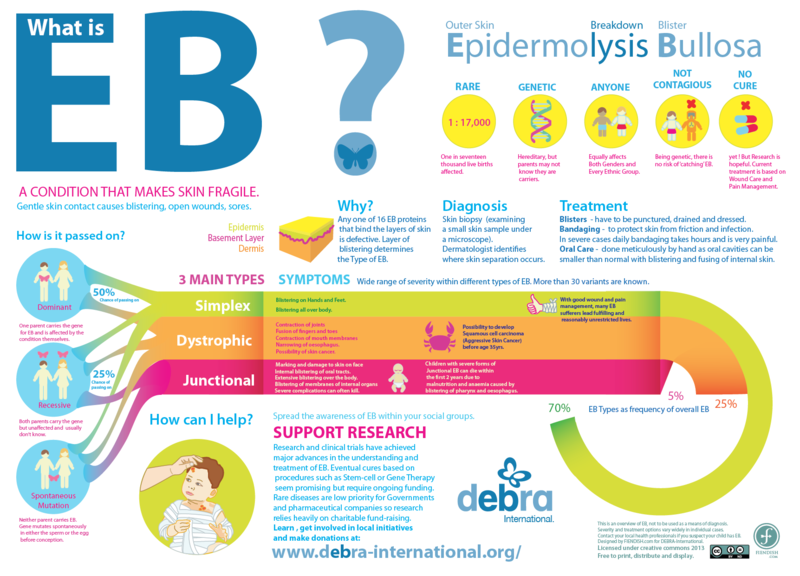 This infographic was developed for the international charity Debra which raises research money and awareness of the rare genetic disease Epidermolysis Bullosa. The infographic gives a clear and practical overview of this disease which is useful for parents and patients and has been used as a teaching aid by specialist clinics around the world. You can download this infographic in several languages here.